A former colleague’s battle with Parkinson’s Disease is helping spur on a team of North Staffordshire accountants as they tackle their most gruelling charity challenge yet. 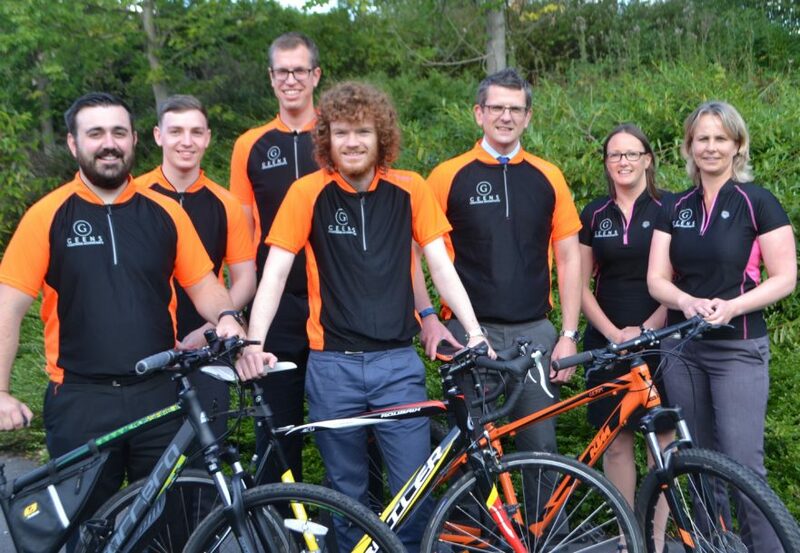 Staff from Stoke based Geens are training hard to take on the Lake District Ultra Challenge. They are being supported by a very familiar face, Linda Wood was the receptionist at Geens for more than 40 years, retiring in 2016. Now Linda has been diagnosed with Parkinson’s, a neurological disease with no cure. “Linda was very much the face of Geens, the first person most visitors to our offices saw,” said Director, Karen Lowe. “As a company with a team ethos, we have regularly organised staff challenges and have completed the Potteries Half Marathon, the Three Peak Challenge and a Snowdonia Challenge, raising tens of thousands of pounds for charities along the way. “Now an 11-strong team is training for the Lake District Ultra Challenge. It consists of cycling, hiking, canoeing, abseiling and even a cliff jump, over what organisers say is a 12 to 15-hour long day. The challenge, on Saturday, 16 September, is incredibly tough. It includes around 33kms of cycling, primarily hill climbs, hiking up to the Old Man of Coniston peak, 11.5km of canoeing on Lake Ullswater, an abseil and a cliff jump. Organisers say participants require high levels of fitness and stamina. Karen, together with client manager, Nic Sutton, have completed marathon stints in the saddle in the Staffordshire Moorlands, including tackling Gun Hill, which has become known for testing the world’s best cyclists as they climb 1.224 feet, at a gradient of 25 per cent, in the Tour of Britain. Parkinson’s UK is committed to both working for better care and treatment packages and to research to finding a cure. Around one person in every 500 people has Parkinson’s – around 127,000 in the UK, in total. Based at Trentham Lakes, the Donna Louise Hospice provides care for children with life limiting illnesses and support for their families. Staff at Geens are to visit the hospice to see staff and hear how funds are spent on care services. Geens has raised around £35,000 from previous challenge and staff are aiming to take that total over £50,000. To support Geens, please go online to uk.virginmoneygiving.com/GeensUltra.